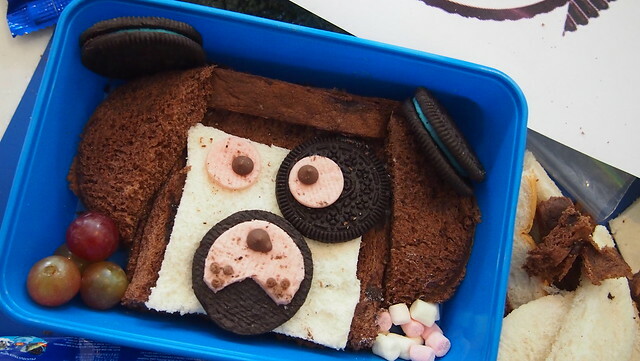 Woof Woof Says My Oreo Dog Bento! A&D has joined the Bento bandwagon but still not quite... I've bought and collected more than enough bento tools but I've only done bento only a few times. 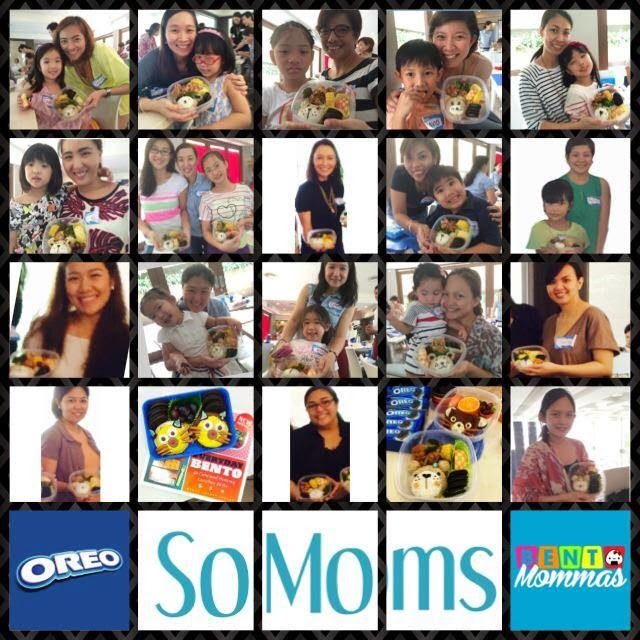 And so I was so happy that the #SoMoms had a workshop with THE Bento Mommas! 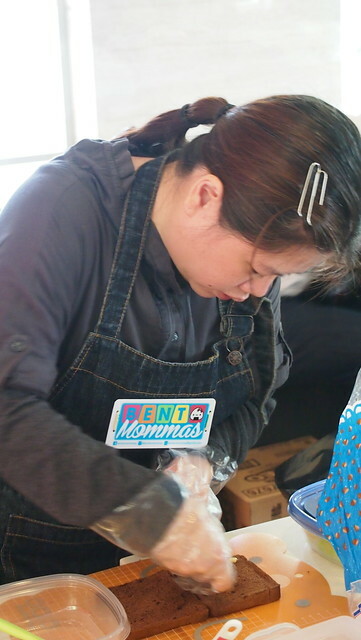 The awesome mommas behind The Bento Mommas! 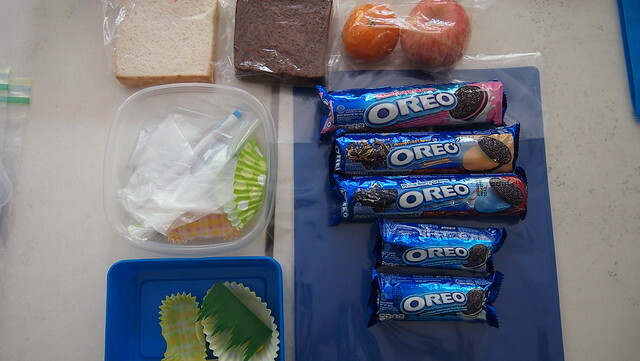 I've done simple bentos for Y for her baon and breakfast but I haven't done a full bento until this workshop. I've been wanting to attend a workshop for the longest time but it's always not the right time so I was so happy this workshop fell on a holiday! 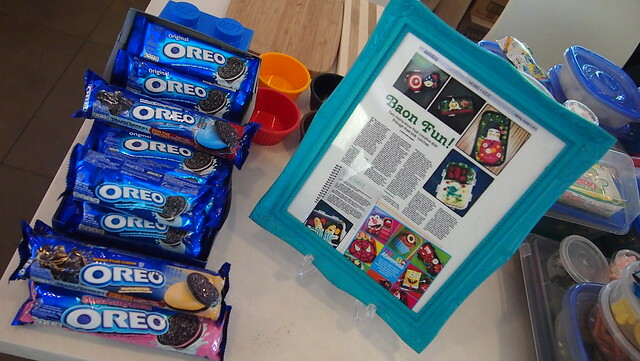 And it was made special because it's a Oreo Bento Together Workshop! 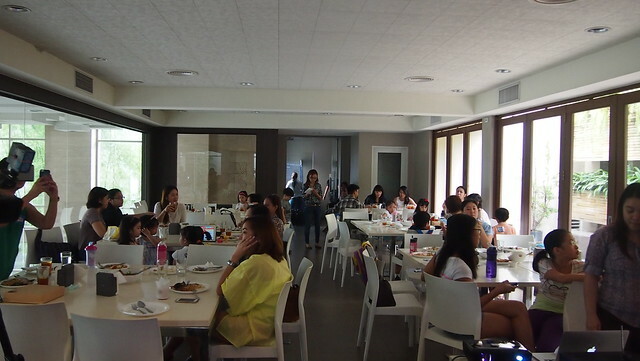 So happy to be with fellow mommies and kiddies! Our very own bento kit! I'm so giddy just looking at my new bento tools! This looks intimidating right? But it was not that hard naman pala! 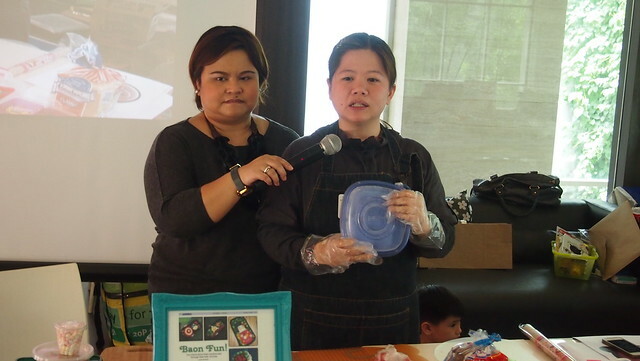 Kaye did the demo for the bentos that day. 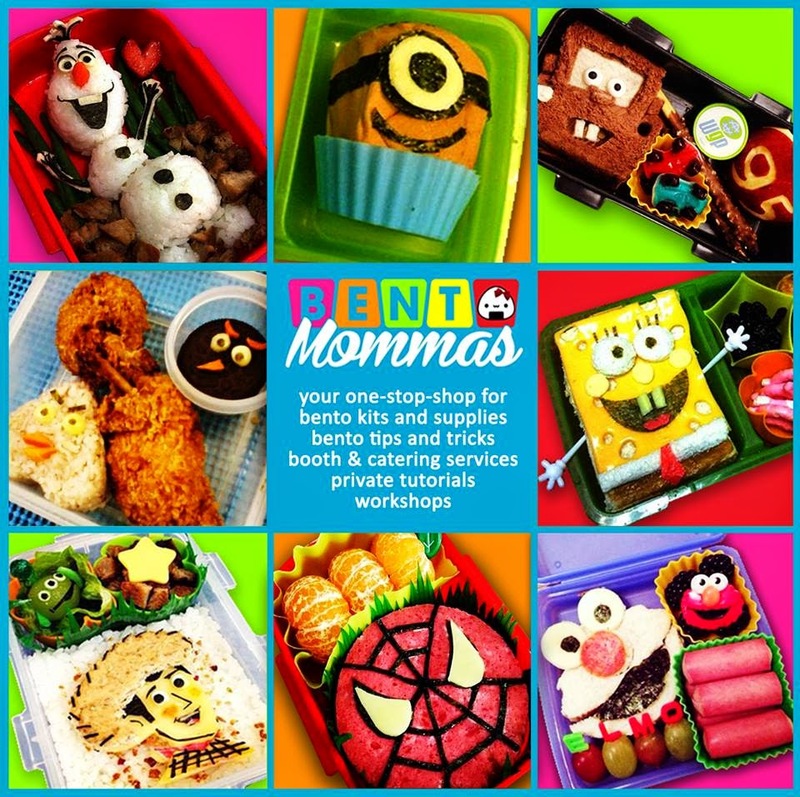 Bento is all about making food more fun to prepare for us moms and for our kids more fun to eat! 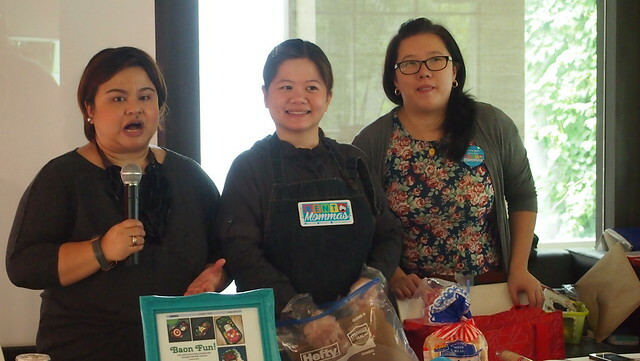 Even when preparing bento, we moms must remember to add healthy food like veggies, meat, pwede naman ng occasional hotdog or spam, fruits, and some treats like sweets. Just like what our first bento! Tadaaaah! This is my first full bento! 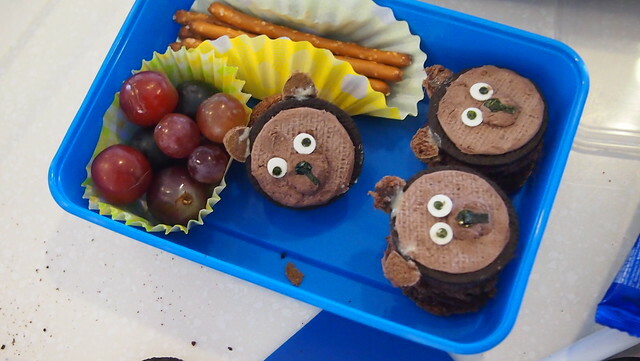 The bear is made of brown rice and white rice. The eyes, nose, and ribbons are made of nori (punchers and tweezers are essential!). Then there's corn and broccoli for veggies, chicken, apple and Oreos as treats! Molding the rice was easy, even cutting the nori is not hard. Doing the deco on the apple slice was the hardest! Give me a scissor and paper, no problem! But with a knife and apple, it's hard! But I was able to finish my chckered apple! Tip: Dip your apples in 7-Up or Sprite to prevent it from oxidizing. 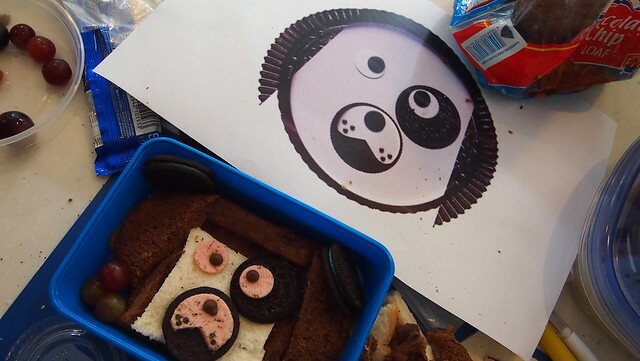 Our next bento was an Oreo challenge! 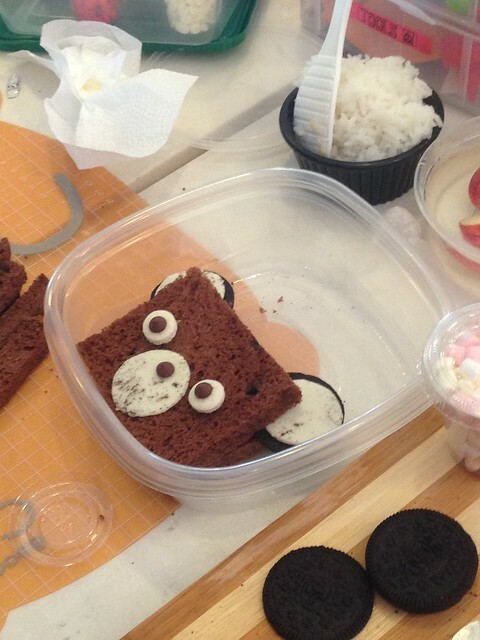 But first Kaye showed us how to bento-fy your sandwiches! 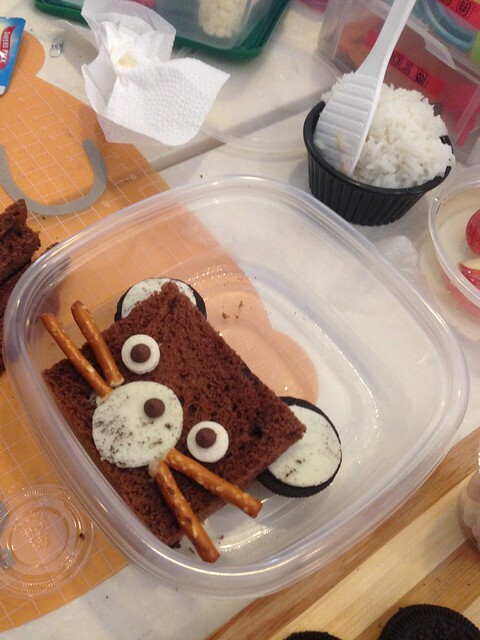 As you can see, the sandwich is made of chocolate bread, ears are made of open face original Oreo, eyes and nose are made of the Oreo cream with chocolate chips, whiskers are pretzels! 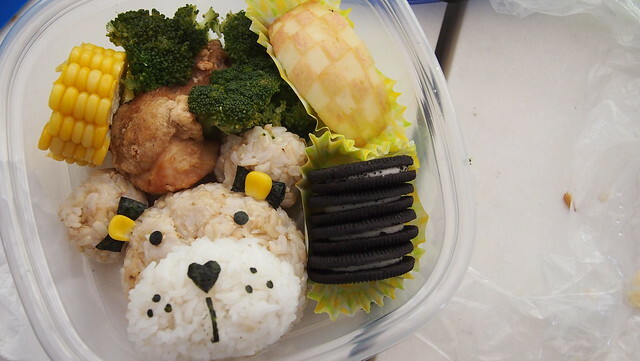 As for my bento challenge, I got a dog to make as my bento and the challenge was to incorporate Oreos into it! I thought it was easy because it's just a dog! Nooo.... I ad a big question mark on my fez! Does it look like a dog? I felt like it looks like a cow. Haha! My dog is made of chocolate bread and plain bread. Y said she wanted me to use Strawberry Oreos hence the pink eyes and nose. Plus more Oreos and marshmallows as treats and grapes! 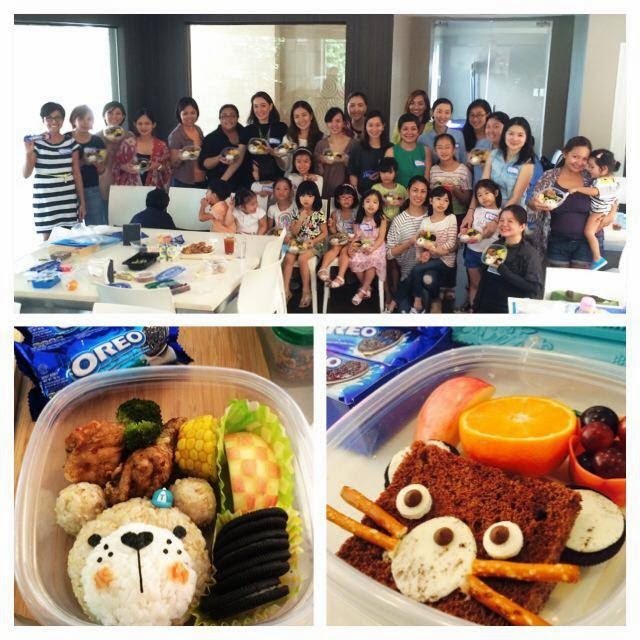 The other SoMoms nailed their bento challenge! 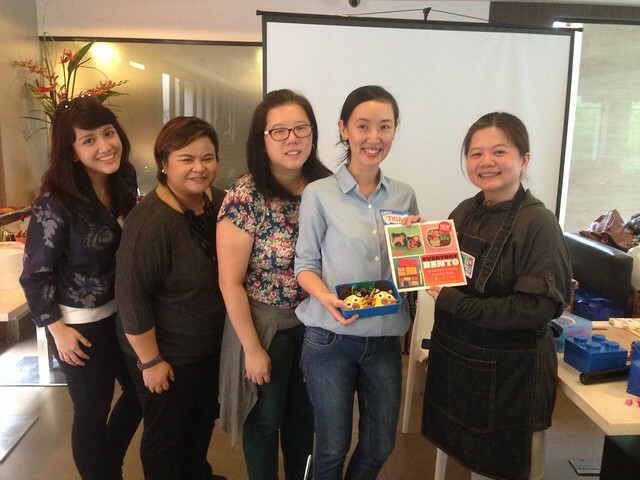 Tina and her daughters won the challenge and won themselves a bento book which you can buy from The Bento Mommas! The phenomenal momma Tina and the Bento Mommas! 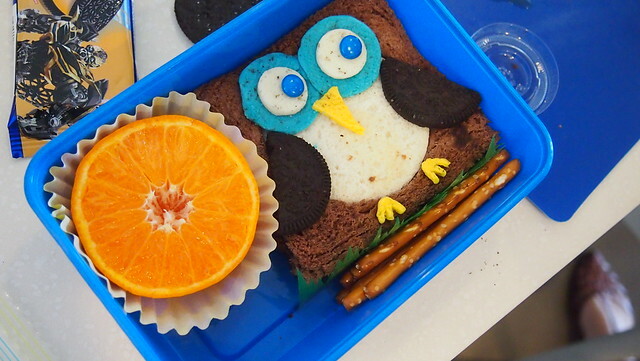 Check out the other bentos by the SoMoms! MFO's A for effort Oreo bears! Mish's super cute owl! 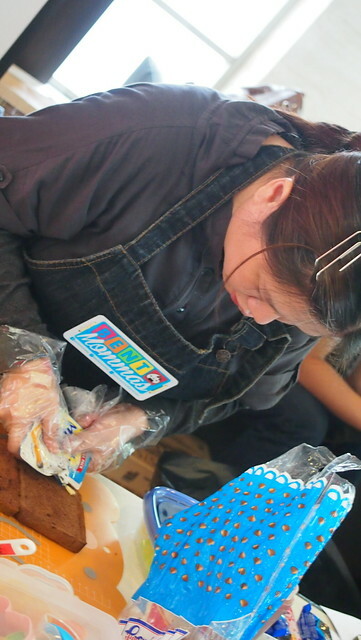 You can check Momma N' Manila for her step-by-step on how to make an owl bento! These were the bento in our table. 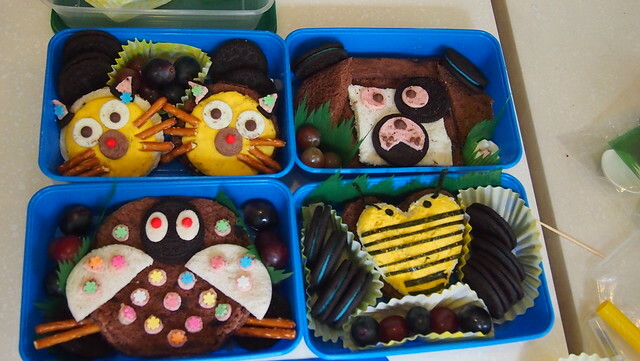 Clockwise: Dog Bento by me; Bee bento by Didi; Lady Bug Bento by Candy and Cat Bento by Tina! 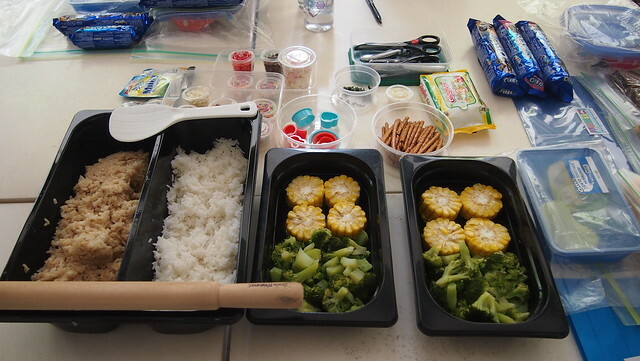 With these kinds of bento, I'm sure picky eaters like Y and Kris's M, will surely be enticed to eat their food! 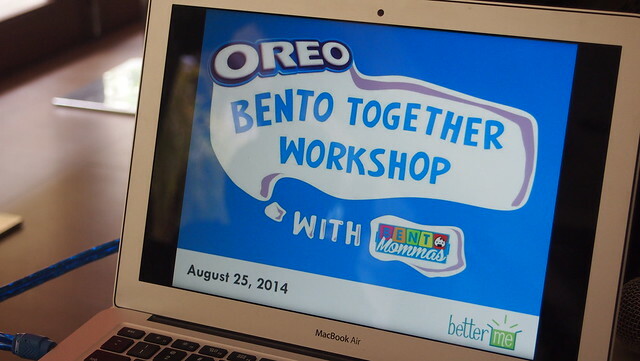 Thank you so much to Oreo, Bento Mommas, and BYS for coming up with #BetterMe sessions like this!